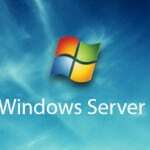 After recently upgrading a Windows 2008 R2 web server from Parallels 11.5 to Parallels 12, I ran in to a series of fairly serious issues that I thought I would document here in the hopes that it might help others. These were previously listed on my Parallels Plesk 12 Review as I effectively had to stop the review due to the problems but now all is working again, I thought it better to separate the two. What is interesting to note about my upgrade from Plesk 11.5 to 12 is that I received no warning messages or errors during the whole upgrade process (I sat and watched the whole thing having had issues with the upgrades from Plesk 10 to 11 in the past). I had restarted the server both before and after the update to ensure as many resources as possible were available during the installation and the new version was properly ‘bedded in’ when I started using it. Once the upgrade was complete I browsed straight to a couple of customer websites and saw they were running fine and sent a few test emails and they were correctly routed – great I thought! Having been lulled in to a false sense of security by my brief tests and lack of error messages, I was dismayed to find the Plesk Panel effectively broken and on further investigation, half of the websites offline. Right off the bat, clicking ‘Hosting Services > Subscriptions’ shows ‘No Items Found’ – initiate panic. The root cause was a Plesk database inconsistency. An incorrect column had been created ‘externalid’ (duplicating the ‘external_id’ values) in ‘domains’ table. In order to fix the issue first, create a backup of psa database. Restore the pre-upgrade dump of psa databases. Remove the ‘externalid’ field from domains table in the psa database. Many WordPress websites were showing errors regarding permissions and/or open_base dir. Solution: Go to the PHP Settings option for your website and change the open_basedir option to none. ASP Websites that attempt to write anything to the hard drive were kicking up permission denied errors. Solution: prior to the upgrade I had to only grant read/write access to folders that needed to be written to by the website to the websites IUSR account (for example IUSR_acme.com) but now they also have to be granted to the IWAM_plesk account. Solution: After a lot of messing around with PHP settings and file/folder permissions I solved this by Simply Deleting all the items in the C:\Windows\Temp folder! I was struggling to figure out why four of my five wordpress sites, and four other non-wordpress sites suddenly stopped working. The open_base PHP setting was the culprit in all of the cases. Glad you got it sorted and glad this helped! I’m glad this helped someone else – I know the stress of a site suddenly not functioning! I’m afraid I can’t help with specific Plesk issues but the first thing I would check out is your servers resources. I try to delete a temp file but dosen’y change the error message. I fixed the 500 internal error php-cgi fastcgi exited unexpectedly error by just changing the PHP version of the domain to a newer version. I needed to go up to the next version anyway. I had checked php.ini and the files in php folder and permissions, but didn’t find anything wrong. Do you know what each of the users are for and what they have permissions too? I can’t find any info on which users are used by what. Is it save to proceed with such warning? or any help on fix this warning? I’m afraid I don’t know what to suggest here. Parallel’s official response when it comes to upgrading Plesk always seems to be “don’t do it, migrate all your websites to a new version” which is obviously worthless advice. Good luck!